Some of the more regular subscribers to the Tourism Industry Blog might have noticed that I have been a little quiet for a few months. 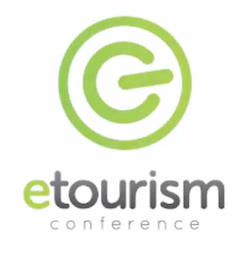 I hope to start becoming more active again in the coming weeks, having now completed the epic task of pulling together the programme and speakers for the eTourism NZ Conference 2012. I’ve been working with Lea & Lucy from On Cue to help build an international line-up of speakers covering a wide range of subjects in relation to the use of technology in tourism. This year we have moved beyond just promotion and price delving broader into how technology and the online environment can be used in tourism development, whilst still having a strong marketing focus. We’ve really worked to mix the programme too, with many different formats including panel discussions, workshops, presentations, keynotes and the additional opportunity to get your questions answered at expert round table sessions. Topics include mobile technology, review sites, travel bloggers, online PR, content marketing, website development and much more. More than 20 speakers and panelists joining us from four countries, including Jim Brody (Head of Destination Marketing at Oyster, formerly of TripAdvisor), Jens Thraenhart (eTourism Expert in the Chinese Market) and Professor Simon Milne (Leading tourism expert from the New Zealand Tourism Research Institute). Speaker, Entrepreneur & Consultant in Hospitality & Tourism, sitting on a number of boards as an advisor and trustee. Would you engage in a conference “online” rather than attending? Wow what a line up – it sounds like it will be a very informative and interactive conference. See you there!